How do we create homes that are built for change? 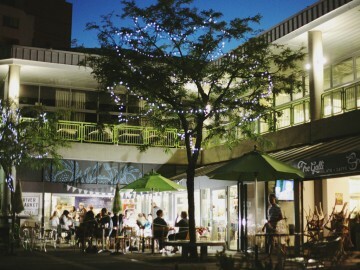 How do we revitalize a market without becoming a mall? How do we increase affordability through the sharing economy? How can we accelerate innovation with social impact for Vancouver? How might we make homes more affordable and happier? 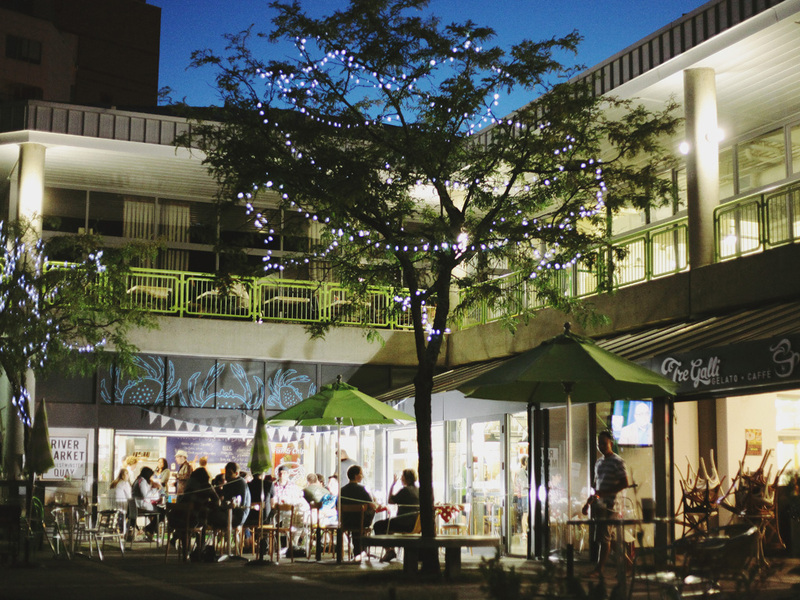 How Do We Revitalize A Public Market without becoming a Mall? 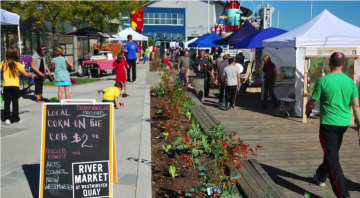 Since 1892, New Westminster has had bustling markets on the riverfront that served farmers and merchants from across the Fraser Valley. 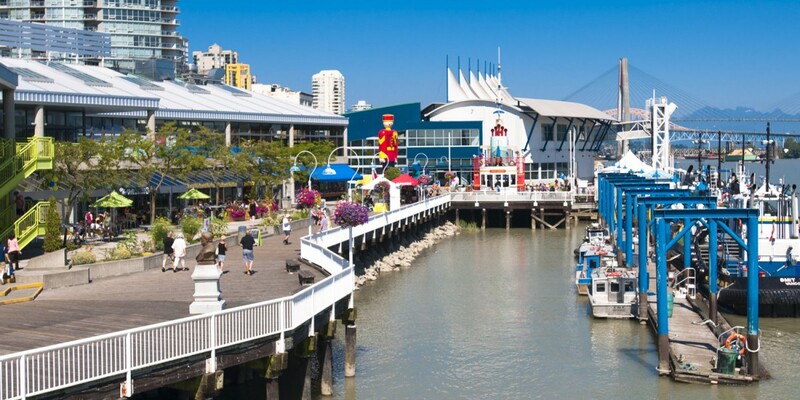 In 1986, the building opened as Westminster Quay Public Market, accompanying SkyTrain construction and alongside residential development on the City’s riverfront.Over the years, it declined steadily like many market halls in North America. 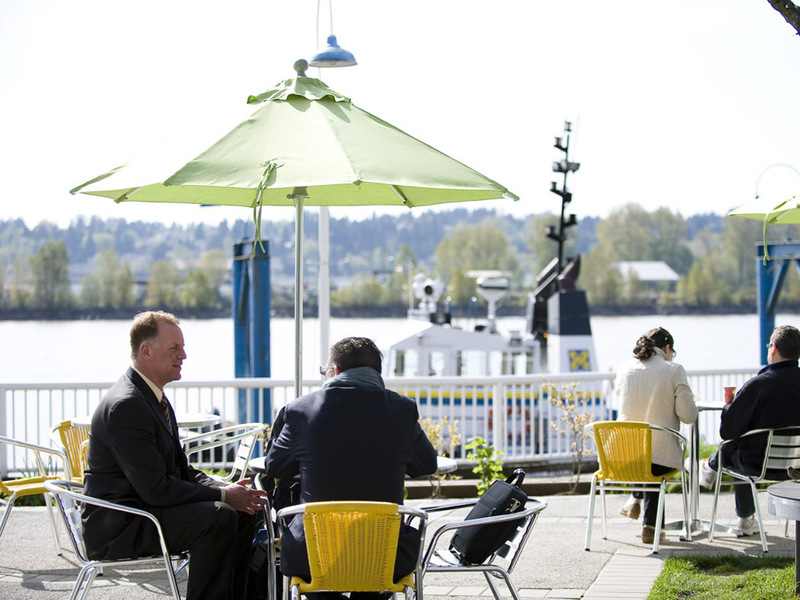 In 2008, after a major renovation, it reopened as River Market to reconnect it to the water that feeds much of our commerce and culture. Today, with a vision dubbed Food 360, River Market is a culinary playground where guests can engage with all the activities related to food. Our hypothesis is that public markets need to become a place for activities, beyond commerce. A “market” is where one buys and sells things. But commerce by itself does not distinguish a public market from a shopping mall. 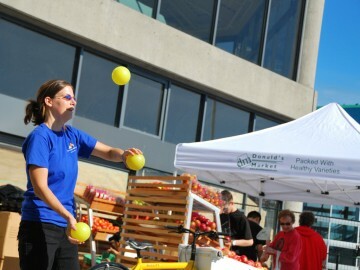 We believe “public” means cultural and communal activities; and in our project these activities are centred around food. In this model, we paid special attention to creating synergy. For instance, second floor retail is challenging. Thus we looked for school and office uses on the Market’s second floor that complements the restaurants and shops on the first floor. For example, parents can drop off their children for classes at the Vancouver Circus School on the second floor, and then go to the first floor to do grocery shopping at Donald’s. We call the first floor The Hungry Floor (food for the body) and the second floor The Curious Floor (feeding creativity). 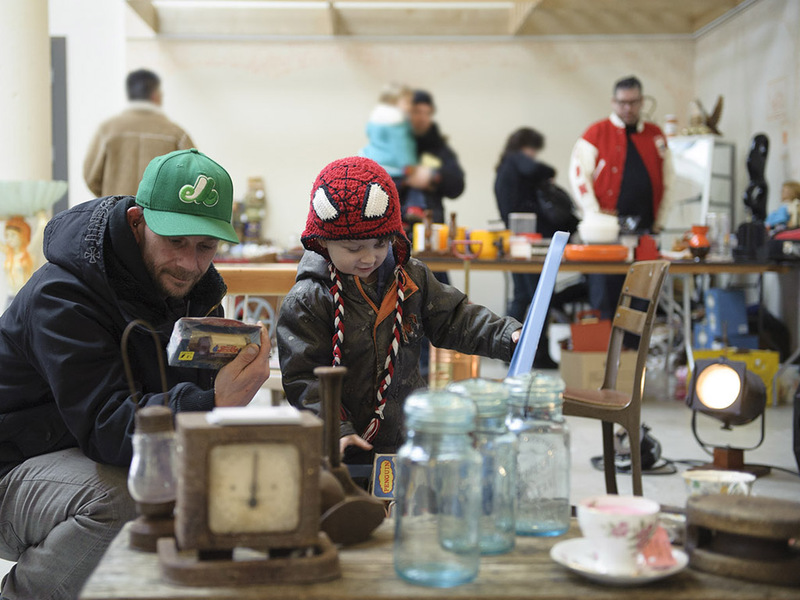 Process: How do we revitalize a market without becoming a mall?